The mainstream media's flawed coverage of Occupy Wall Street has been a disservice to both its readers and viewers, and to the average Americans at the heart of this grassroots organization of pro-democracy activists. If you want to see what it's really like, watch this clip of an impromptu discussion at the Dec. 17 march in New York City. OWS members have been alternately characterized as extremists, communists, anarchists, socialists, libertarians, the unemployed, free-love advocates, homeless drug users and slackers. The same press has repeatedly suggested that this leaderless movement has no shared message and is really some kind of jamboree for America's societal losers. Because the mainstream media routinely pulls one aspect of the movement out of context, and Occupy Wall Street has spread a big tent in which just about everyone is welcome. 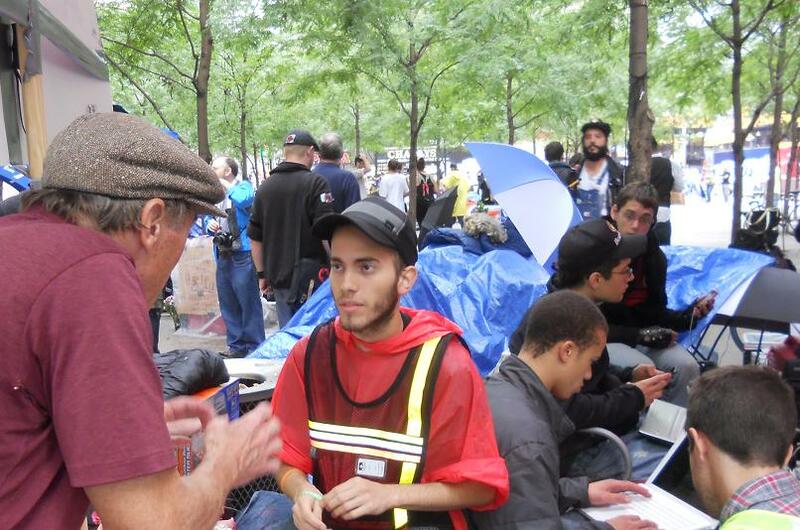 That's why so many street people have sought and found food and shelter in OWS camps. Does that mean everyone in OWS is a mentally imbalanced homeless drug user? By the same token, there were a handful of ambitious people who started showing up at the camps in suits and pimping themselves out to reporters as spokespersons. Does that mean everyone in OWS wears a suit or is an aspiring spokesmodel? Well, this is basically what's been done to OWS by news organizations that place ratings and advertising dollars ahead of good journalism. 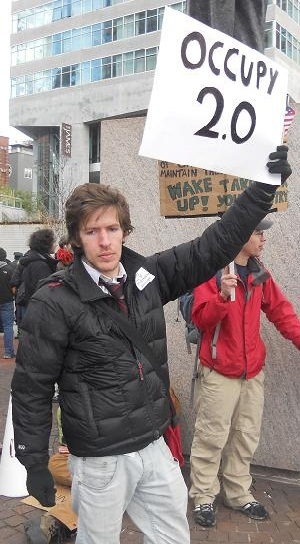 The mainstream media also has gone on far too long about the lack of a single coherent message for the Occupy movement. This oversight is understandable given the mainstream media's symbiotic relationship with the spin-meisters of the Republican and Democratic political machines, and the hordes of public relations specialists that politicians employ solely to pamper frail journalistic egos. The simple fact of the matter is that OWS has always had a single coherent message if you stop talking long enough to listen. It just doesn't have a sheet of talking points and a House Whip to punish anyone who doesn't toe the party-line. There are many different ideas within the movement about the best way to achieve that goal and many different views about which problems are the most pressing - from health care to capping political donations so people like Donald Trump and Michael Bloomberg can't buy their way into public office. But there is not a single discussion at OWS that does not revolve around the need for a more equitable distribution of this nation's wealth. The Cynical Times videotaped a random political discussion at the Occupy Wall Street protest on Dec. 17 in New York City that provides an excellent glimpse inside the movement. We used a tiny little flip camera to record the doings inside Duarte Square Park and didn't identify ourselves as media unless asked. This low-key stance ensured that there would be no playing to the camera in a crowd full of random people taking video and photos on their own phones and Flip cameras. LaGreca is a captivating speaker who has made a bit of a name for himself as a blue-collar pundit since schooling Fox producers so badly during one interview that they refused to run his comments. We didn't even know who he was until after the discussion group was over. LaGreca stood in the middle of a circle of fellow protesters with a Civil War-era Union Army cap perched above his cherubic face. Similar exchanges were underway throughout the park at a level far above the typical Tea Party nonsense and the orchestrated dog and pony shows of the "Town Hall" events held by the two political machines, which routinely treat middle-class Americans as props. Our discussion group was more focused than most, simply because so many of the participants were LaGreca fans. That said, they weren't shy about sharing their own thoughts. This clip is more viewable because of that focus, but it's also a fairly accurate cross-section of the people at the core of the U.S. pro democracy movement. They're overwhelmingly intelligent and compassionate. We think they're America's best, and we know they deserve to be more accurately depicted in the mainstream media than they have been.